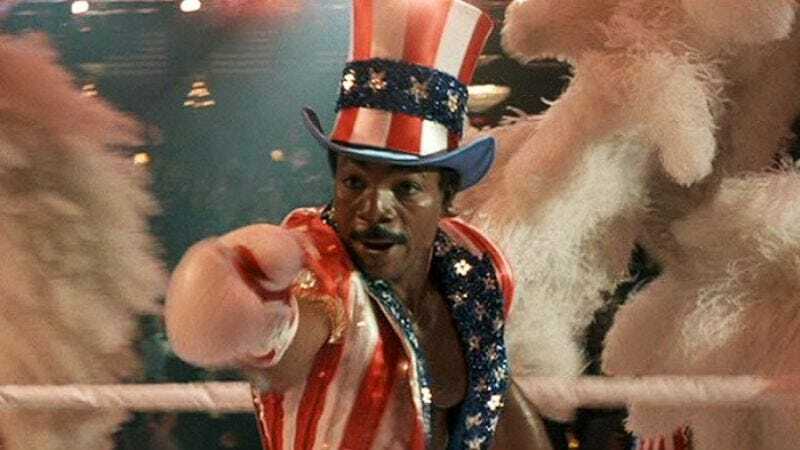 Deadline reports that Fruitvale Station director Ryan Coogler is set to reteam with his star Michael B. Jordan on Creed, a drama about a little-loved second-generation knockoff who stands there with arms wide oooooopen, because he’s getting ready to box. That’s because Creed is technically a Rocky movie, a film that—after six Rocky movies that delved fully into the dead-ends of Rocky’s relationships with his son and late wife—finally gets around to asking, “Wait, didn’t Apollo Creed maybe have a grandson we could make a movie about?” That’s the idea proposed by Coogler, anyway, who came up with the idea for Jordan to play the scion of Carl Weathers’ flashy boxer from the earlier movies, who left the younger Creed with plenty of riches and innate talent that night Russia finally killed him. The new Creed then turns to Rocky Balboa to train him—because that would be a weird Rocky movie otherwise, if we just saw him watching the fight in his kitchen or whatever. Deadline says Sylvester Stallone is, obviously, enthusiastically on board alongside original producers Irwin Winkler and Robert Chartoff, suggesting there’s now similar hope for our own long-proposed Rocky sequel, Paulie’s Robot. Isn’t it about time that robot came out of retirement to fetch a new generation beers and birthday cakes?